John Haller Dudley was born outside of Chicago, IL on March 5, 1926. He was one of seven children and gained his love of tennis from his father. He won the Illinois State Tennis Championship while in junior high. Being a child of the depression his family lived in many different places but often returned to California to reside. He graduated from Santa Monica High in 1942 and joined the Army. After serving in World War II for 2 years as a drill sergeant, John attended UCLA. He earned his Bachelor's Degree there, with a major in Physical Education and a minor in math as well as his California teaching credential, later went on to earn a Master's Degree in Physical Education. 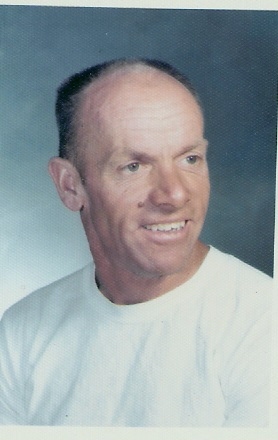 He married Beverly Showalter on June 27, 1952 and a few months later he began teaching at Victor Valley High School. He taught at VVHS for 38 years, coaching football, basketball, and tennis. In 1981 and 1982 he was awarded US Professional Tennis Association, California division High School Coach of the Year. He retired from VVHS in 1990 after achieving 21 tennis championships, as well as 4 in football and basketball. “Coach Dudley” loved his job as PE teacher, coach and head of the PE department and in 1991 VVHS named the tennis courts in his honor. After retiring from VVHS, John taught tennis at Victor Valley College for 10 years. John loved spending time with his family, including his wife, 5 children, 16 grandchildren and his brothers and sister. The family traveled extensively with their trailer, including several cross-country trips and many, many family reunions. John and Beverly also loved to travel, not only to visit family and friends but had the opportunity to go to Hawaii, Alaska and Europe. One of their favorite vacation spots was Sedona, Arizona. He shared his love of tennis not only with the hundreds of students he taught but also all of his children, grandchildren, nieces and nephews. His legacy will live on beyond the John Dudley Tennis courts through all those who knew him. I feel honored to be one of the lucky people to have been one of Coach Dudley's players. I was on his VVHS team for his last two years before he retired. Our team was the first team to enjoy the courts named for him. When I first learned of his passing I felt very sad. My sadness turned into an almost proud state. Proud as I explained to my daughters the level of a man he was. Beyond all the stories, I am most honored to share the traits that made him so great to all of us that looked up to him. His theory of learning the basics is something I took from his years of coaching me and used in all aspects of life. Blessed is the family to have called him, dad, brother, grandpa or especially husband. Honored are those to have called him, “Coach”. He will always be remembered by me and the countless players he taught. Thank you! From my earliest reunion, the predominate memory I have of Uncle John is his infectious laugh. We kids would be playing and we'd hear an explosive laugh—Uncle John seemed to always be in the thick of whatever was so funny. He had a quick smile and gentle manner about him. From my standpoint, everything about him was admirable. I am proud to be his niece. I loved Coach even when he made me run laps for not having a firm enough grip on my racket (he called my loose grip throwing it) or using too colorful adjectives. Wow! What a great teacher, mentor and leader. Thanks family for sharing Coach Dudley with me and so many others during his many years of teaching and coaching. P.S. I soon learned to tell when I was in trouble with Coach. He wouldn't be smiling when he was talking to me. He was always fair. DARN IT. We are proud to have had two generations attend VVHS with John Dudley as a teacher, coach and shining example of what a person should represent. We will always remember his beautiful smile and warm hand shake. He will be missed always. Mr. Dudley came to my house to bail me out for getting into trouble on Senior Ditch Day in 1975. My dad was Frank Bright and we were into C.I.F. playoff for tennis my senior year. I played “B” basketball for Coach Dudley. I will never forget our first game. Coach Dudley gave the locker-room pep talk and I was just itching to go out there and tear up the opposing team. But after his talk, he asked us to bow our heads so he could lead us in prayer—that simple act made a lasting impression on me! The “Double Sock” rule—two socks per foot on hot Victorville courts. I remember Uncle John as a caring uncle who treated the nieces and nephews like his own children. There's also a quirky thing I remember—one night at a family gathering, where all the cousins were sleeping on a floor somewhere, Uncle John insisted that we all put on clean socks to sleep in. That's a good practice that stuck with me. Whenever my son tries to go to bed with dirty socks, I think of Uncle John! What a wonderful man he was. My memories of Mr. Dudley are wonderful. He was an amazing coach, but more so an amazing kind and caring man. He believed in pushing us past our limit because he believed in all of us. I truly loved him as my coach. He had a great influence in my life. I was truly blessed by being able to know him as my coach and a wonderful mentor. I am so thankful that Jesus knew that Mr. Dudley would be a blessing on my life. Mr. Dudley was my tennis coach in the late '50's and '60 and '61. Then some 30 years later he was my son Brad's coach. What an honor. I just know that now he and Julie Banks are playing in Heaven. As principal of Sandra Elementary School I was honored to introduce Coach Dudley as one of two most influential people in my life. In 1962 – 63 school year I was privileged to be selected by him as captain of the B football team. We won the championship that year and I learned a lot from our pre-game meetings. Coach Dudley instilled in me the values and desires that have helped me throughout my life. 4. He would amaze me while watching him doing exercises as a gymnast—the rings, parallel bars, horse, etc. and his “iron cross” on the rings. My one of many stories of Mr. Dudley-- I wrote in my book “Footprints from the Barno”, a copy I gave him. I will always have him in my thoughts. He was my first basketball coach, 1952 – 53. I will always remember John for a couple of important things he taught me…not in class but by the way he lived. First, he was always an honorable man and he lived his life with the highest integrity. Second, I know he loved to win but more importantly, he loved his kids even more. I will miss him. He made a difference in my life. I can't tell you how much I appreciated knowing and having Mr. Dudley as my tennis coach. I learned a lot from him, even how to play tennis. He was a wonderful person and a super sportsman. I played at VVHS in 1969-70 and I think (old age) '68 as well. Tennis is a great sport, even greater with a man like Mr. Dudley leading the way. I will always remember Uncle John with a big smile on his face! He always seemed really happy. I know he really enjoyed life! Mr. Dudley was my J.V. baseball coach in 1958 when I was a sophomore. In 1959 I had a swat administered by Coach Dudley which I had coming. The next cay he forgot about it and we were friends ever since. …there wasn't anyone that didn't like and respect him. You always knew where you stood and didn't want to disappoint. We're grateful for the contributions he made to the tennis achievements of Jack & Julie. Thank you John for being a good friend. I enjoyed our times together. I was very honored to have been able to have John come into my life and get to hear about his amazing life. I am so sorry to hear about your Father passing away. He was such an awesome teacher, coach and person. You were lucky to have him as your Father. He was a wonderful man and I'm sure will be greatly missed. we all loved Mr. Dudley. He was a great man and a great teacher. i will always remember him fondly. love, Kathleen (crawford) Mckinney "76"